The latest version of SharePoint, the 2013 is here and many enterprises that are still stuck with the 2007 have to upgrade to take the complete advantage of the software. SharePoint service providers who are certified by Microsoft are screaming out the upgrade sales package. Migrating from the SP2010 version is easier as the SP2013 has an interface that supports 2010 system too. However, if not implemented correctly, then the SP2010 migration will not be complete and rather than use the 2013 features, users might find themselves stuck with the 2010 features on a 2013 software. How can a SharePoint Consultant help? Generally, SharePoint Development Companies have consultants who are well-versed with every new version as they are specially trained with its new features. Also, since they have already deployed the software for numerous other enterprises, they are well-versed with the different scenarios and needs of organizations. Microsoft has a very comprehensive file outlining the upgrade process for SharePoint 2013; however, numerous end level users have raised queries and concerns about the actual upgrade procedure. As we already said the migration process from SP2013 to 2010 is simpler and clearly stated, but for those wanting to migrate from SP2007, you first need to upgrade to SP2010 and thereafter to SP2013. To add to the complexity of the process, there is all the data and files that need to be carried forward to the SP2013. The new features of 2013 include fresh collection of templates and amendments made to the cloud computing service apart from which it is very much similar to the SP2010. This is one of the reasons why migration from SP2010 to SP2013 is easier. Some business owners who have migrated from SP2010 to SP2013, however, complain that though their SP2010 site runs in the SP2013 environment, it runs as SP2010 due to the dual execution mode on SP2013 that lets you run the SP 2010 too. In order to get fully integrated, users must upgrade their page layout, controls etc. Although there are numerous migration tools available to help in transitioning, there can be numerous hiccups, especially with regards to the workflow and InfoPath forms. Other issues might crop up since SharePoint software offers numerous customizations and every enterprise has individual requirements that have to be matched. Officially, database-attached method is the only supported method for upgrading from SP2010 to SP2013 and this system only works for SP2010. 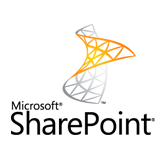 SharePoint service providers who have been officially certified by Microsoft can execute the process seamlessly for you while collaborating at different stages to achieve the target in the shortest time.